"After obtaining a phone appends and calling our top twenty percent, the 3rd target listed with us." "Those Kunkels" have many years of experience in the Atlanta area, and offer a wealth of knowledge and expertise about buying and selling real estate. Leslie has been actively selling real estate for twenty seven years while Steve has been selling for twenty years. The Kunkels believe it's important to "get up and get working" to fully utilize the SmartZip program and reach potential as an effective and successful real estate agent. As soon as they started SmartTargeting, they hit the ground running with calling the top prospects on their list. Within minutes of calling prospects on their target list, they found themselves connecting with more homeowners than ever before. "After obtaining a phone appends and calling our top twenty percent, the 3rd target listed with us," said Steve. With SmartTargeting, Steve and Leslie successfully won a listing and closed a deal without meeting the homeowner face-to-face. 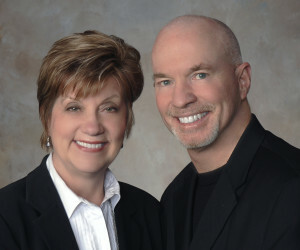 Learn more about Steve and Leslie's success by clicking here.